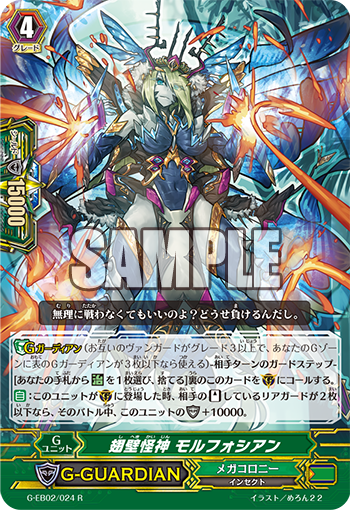 AUTO: When this card is placed on (GC), if your opponent has 2 or less Standing Rear-guards, during that battle, this Unit gains Shield+10000. 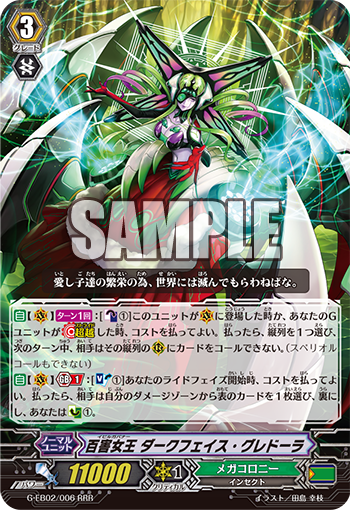 AUTO (RC) Dark Device: When this Unit Boosts, if you hjave a Grade 4 “Darkface” Vanguard, during that battle, this Unit can gain Power+3000. And, when that battle ends, draw 1 card, and that Unit is placed into the Soul.